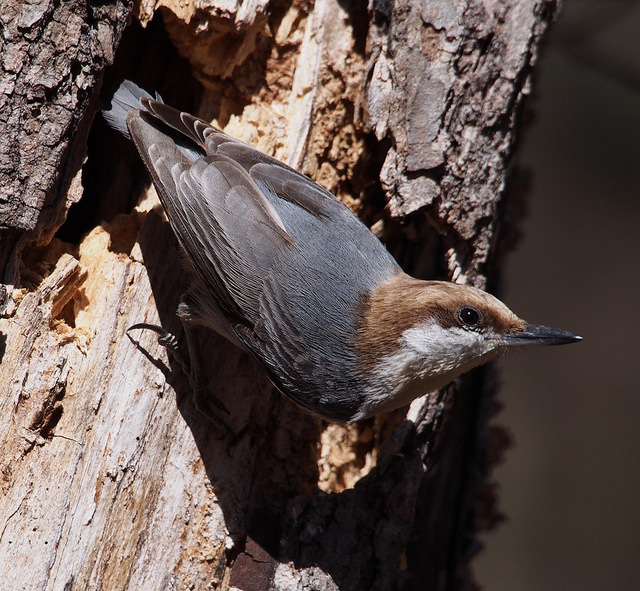 Help with New Hope Audubon sponsored local bird counts and surveys including Christmas and Spring Bird Counts, Eagle Counts, and Mini Breeding Bird Surveys. See our Bird Counts webpage for more information. Record your bird sightings on eBird. Count birds in your yard or neighborhood for the Great Backyard Bird Count. Participate in any of several other projects sponsored by the Cornell Lab such as NestWatch and Project Feeder Watch. New Hope Audubon Society will be participating in National Audubon’s Climate Watch Program through NC Audubon. Audubon’s Birds and Climate Change Report predicts that over half of North American bird species will lose more than 50 percent of their current climatic range by 2080. To test these predictions, Audubon is running the new citizen and community science project Climate Watch. Climate Watch aims to document species’ responses to climate change by having volunteers in the field look for birds where Audubon’s climate models project they should be in the 2020s. We are currently recruiting participants for the June 1-15 count. If you are interested, please email Marcia Mandel at climatewatch@newhopeaudubon.org.